Proven reliability returns. The Pierce Enforcer chassis is more capable than ever. 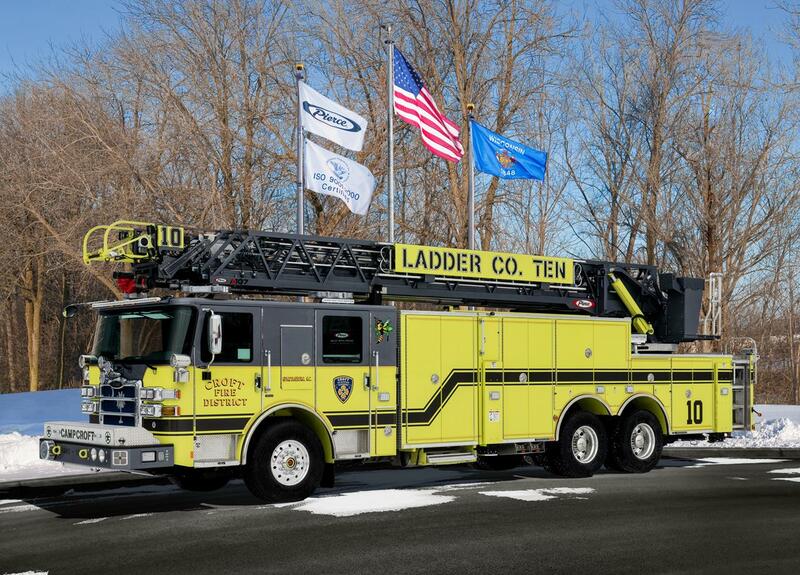 With TAK-4® independent front suspension, your choice of two powerful engines and Pierce's exclusive Command Zone™ multiplexed electrical system, the Enforcer performs like never before. Plus you can take advantage of significant improvements in visibility, space, ergonomics, and serviceability. 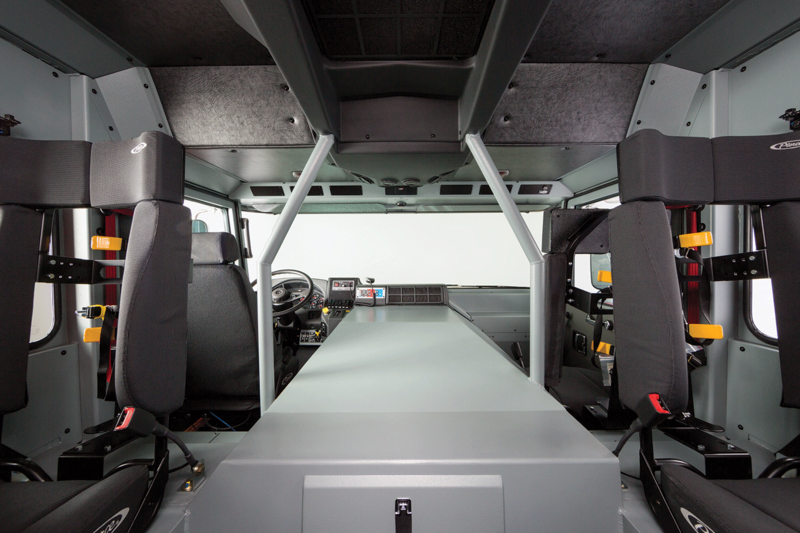 Exceptional visibility is achieved through a large, bonded, single-piece, wrap-around windshield. The smaller engine tunnel is lower & more contoured for increased occupant space, particularly up front for the driver & officer. Exterior door handles are functionally designed for a firefighter's gloved hand. The steps are lower to the ground & offset to function like a stair step, making it easier for firefighters to enter & exit the cab. The console & metal overhead switch panel are ergonomically designed for maximum convenience & comfort, keeping all of the gauges & switches within easy reach of the driver. Easy access to the defroster & wiper motors through removable officer-side panels. Power distribution relocation provides more interior space & fewer harnesses in the frame & up through the cab for easier servicing. Built-in wire raceways throughout the cab reduce the chance of wire chafing & make it easier to service or add cab harnesses & wiring. Maximum 50-degree cramp angle & 15-degree angle of approach for improved maneuverability in those tight areas & challenging situations. Length 60", 70" or 84" / Width 96"
An increased cab tilt angle improves access to the chassis components under the cab. Side visibility is improved by a slightly larger front door and a narrower A-pillar. The steps are lower to the ground and offset to function like a stair step, making it easier for firefighters to enter and exit the cab.